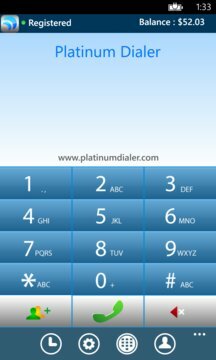 Platinum Dialer is a mobile app for VoIP platform that works as a terminal for making VoIP calls. It utilizes SIP protocol and requires data service of GPRS/3G/4G or WiFi network. 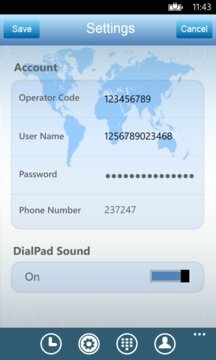 This application is designed for VoIP service providers and end users. Service providers should provide their soft switch IP and port and they will get an operator code for their service. Customizable branded solution also provided for service providers. End user requires operator code, user name and password provided from service provider.